I saw the documentary of Sarah Palin last night. “The Undefeated” will premiere in 10 markets around the U.S. on July 15th and the timing couldn’t have been better unless, of course, it premiered on July 4th, but I digress. 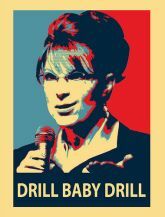 This movie will destroy your preconceived opinions of Sarah Palin. It puts her record as Governor of Alaska front and center and gives a very moving account of her rise in politics. More importantly, it gives the viewer a very studied explanation as to why she resigned as Governor. That segment alone will make you realize that your perceptions of Sarah Palin have been misled by the mainstream media and left-wing blogosphere. She has done what many of us might want to, but are fearful of for sake of being criticized. That fear has paralyzed the elitist Republicans in Washington as well as members of the Republican “machine” throughout the United States. I was ashamed of myself when I saw the movie and thought back to all the times I acquiesced when faced with criticism of my conservative views. No longer. This movie will inspire everyone to stand up for your beliefs and to stand true for the things that matter to you. Don’t shy away from criticism, it is the elitist’s way of governance. Changes are only made by going against the grain of those elitist’s opinions. Our current crop of politicians would have been laughed out of the Constitutional Convention in 1787. I can guarantee you that Sarah Palin would have been a welcome voice and active participant, so true are her ideals to those of our Founding Fathers. I ask you, who amongst the current crop of announced Presidential candidates would do the same? Who amongst YOU will carry such a devoted commitment into next year’s elections? Sarah Palin is an example for all of us to follow. She has endured ridicule, scorn and death threats toward both she and her family. Would you be as committed as she in the face of such disdain? 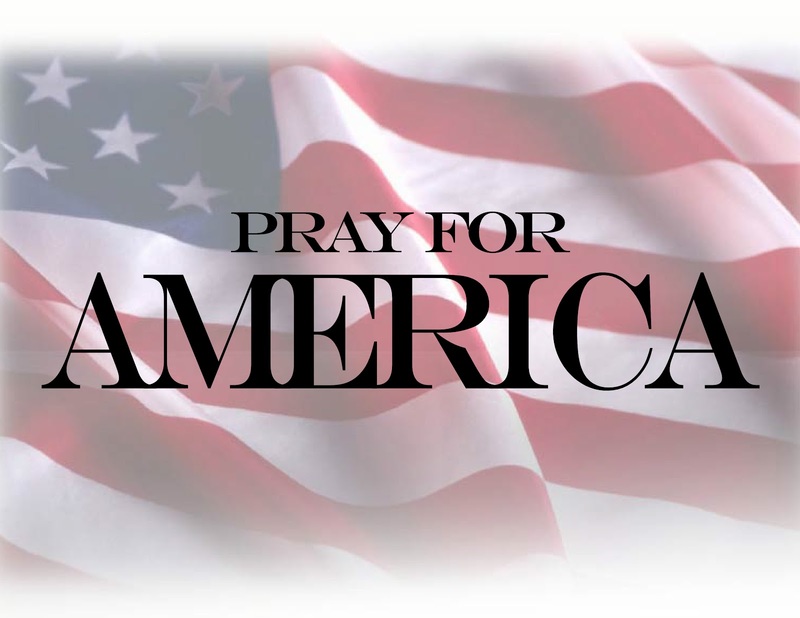 It’s time to be front and center, totally exposed and totally fearless to prove that we can stand with Sarah Palin! We must not let her fall! 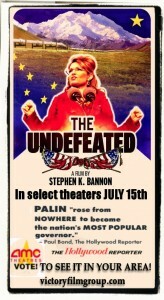 Victory Film Group has a music video containing photos and images of Governor Palin at the Pella, Iowa premiere of The Undefeated. The movie plays in AMC theaters in select cities on July 15. Find a theater and buy a ticket. Vote here to see “The Undefeated” in your home town! Find out the latest about The Undefeated! Text PALIN to 22828, now! Pella was the perfect setting to unveil the new Palin documentary, The Undefeated, because, in many ways, it could be said that the community of Pella is undefeated. While many parts of the state are dealing with high unemployment, Marion County, which includes Pella, has seen its unemployment rate dropped from 7.3 percent in January to 5.7 percent in May, which is below the state average. Palin was amazing in Pella [Tuesday]. As she and Todd made their way though various shops in the downtown area, onlookers would stop to say hello, ask to take a photo, or get an autograph. Palin took it all in stride. Even though she is a huge media sensation, she is somehow able to remain grounded. Nothing illustrated that more than the bug splattered Chevy Malibu that they drove to Pella. By Robinson’s reckoning, Gov. Palin must have posed for a thousand photos and signed hundreds of autographs Tuesday night. He found it remarkable that she she could have left at any time, but instead “patiently worked through the crowd until she hit the door of her car.” Palin supporters have become accustomed to witnessing Gov. Palin’s generosity with her time. When she’s not on a tight schedule, she always seems to devote much of her time to everyday Americans. It’s just one of the reasons why crowds, including the one in Pella Tuesday, loves her. She’s one of us. There are several amateur videos of Sarah Palin’s incredible heart felt speech after the screening of The Undefeated in Pella, Iowa on Tuesday night, but by far, this video by michellefron is the best quality. I’m again stuck by the power Sarah brings to a speech. No notes, no teleprompters, just speaking from the heart. It’s also notable that she lets people know right away this movie isn’t about her, but her entire team, as well as the American spirit, and what can be accomplished with a little hard work. This is what real a real leader looks like. Someone with the right stuff. There is also a great article about the videographer’s experience at the event here. Make sure you check it out.